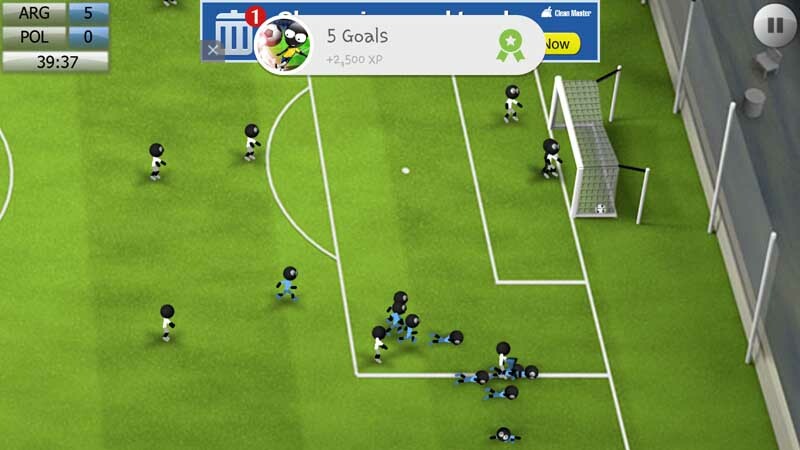 Stickman Soccer features an action-packed experience of the real game, arcade style, and delivered at an exhilaratingly fast pace. The game sports intuitive controls to fluidly respond to touch screen devices and for players to perform those tight maneuvers, skilful slides, and perfect timings for a shot. Please use the menu on the right to navigate through our "Tips and Hints" for the game and check out our review for the game as well.